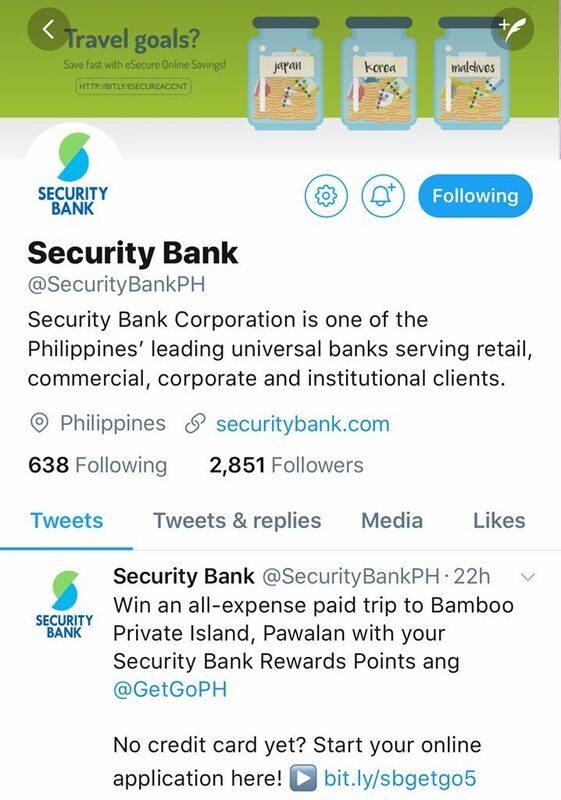 It’s been a year since I got my Secured Credit Card from Security Bank. It was my first credit card since my HSBC card got defaulted in 2010. I initially applied for a regular credit card, but they offered me to get a secured credit card instead. 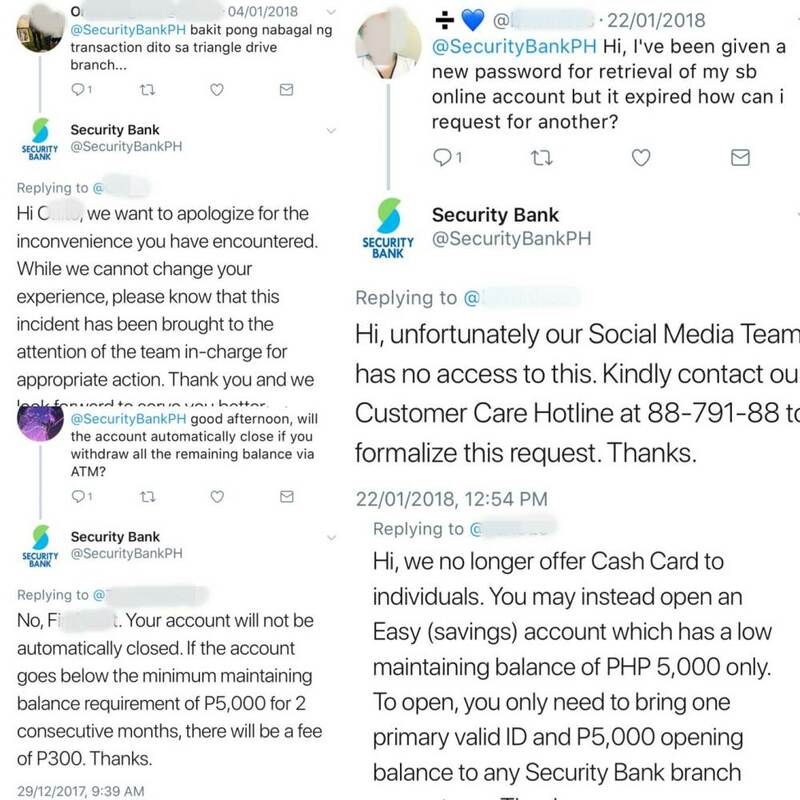 Here’s a short review of the Secured Credit Card from Security Bank after a year. 1. The approval is 100%. So one year later, I’d say I’ve been using my card literally everyday. I made it my default payment method for Grab and Uber (although I already stopped using Uber in December). I never missed any payment deadlines, and I tried my best to pay the total amount due in full the entire time. I own the same postpaid number since 2014, and I never received any text messages like these until this year. It looks like I can now apply for a regular credit card! 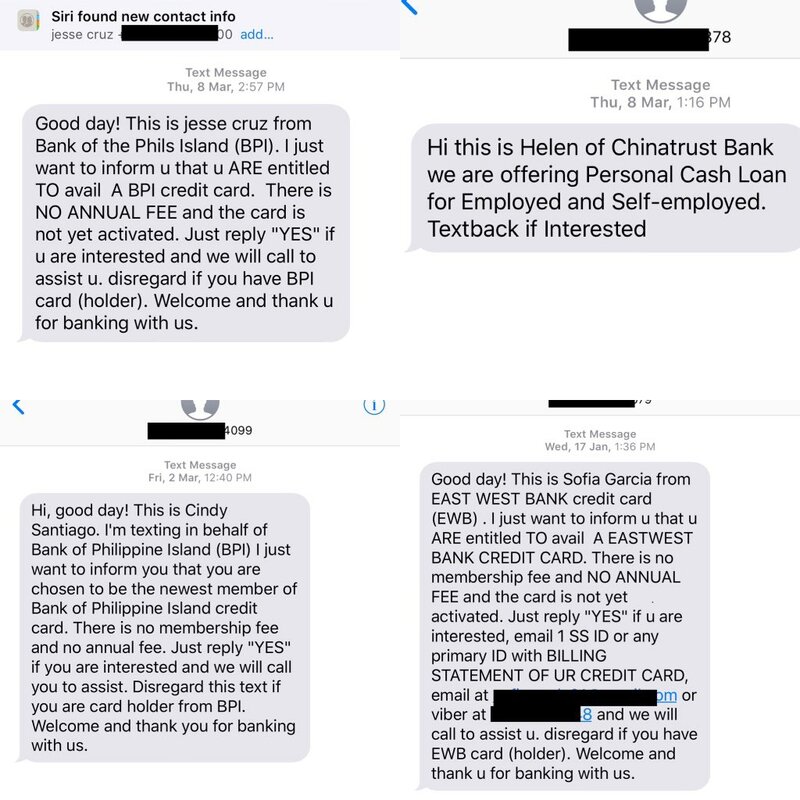 I did not entertain these messages because I am not really interested in getting a regular credit card yet. 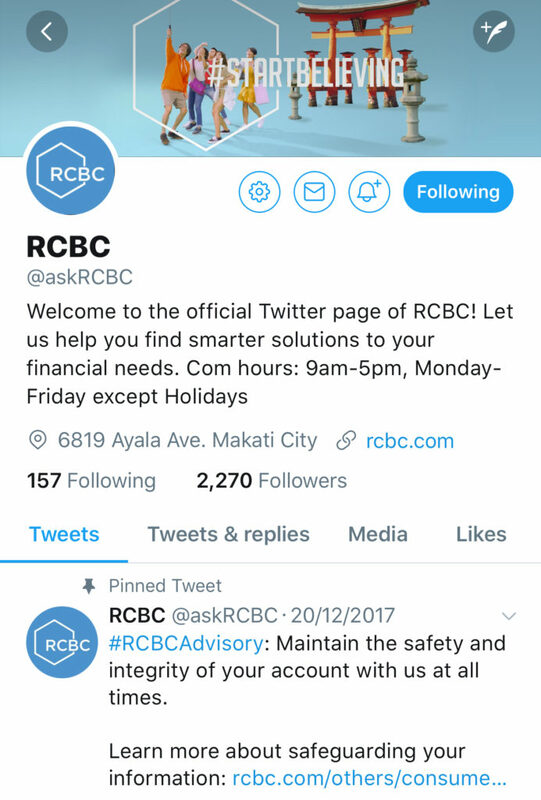 I am planning to request Security Bank to convert my secured credit card into a regular one, and see if they’ll do that for me. If not, I’ll consider submitting an application to BPI or EastWest. I’ll update this post when that happens. The holdout amount is still on hold; I haven’t contacted my bank to release it yet. I believe that releasing the money will result to the closure of the credit card, subject to the bank’s evaluation. 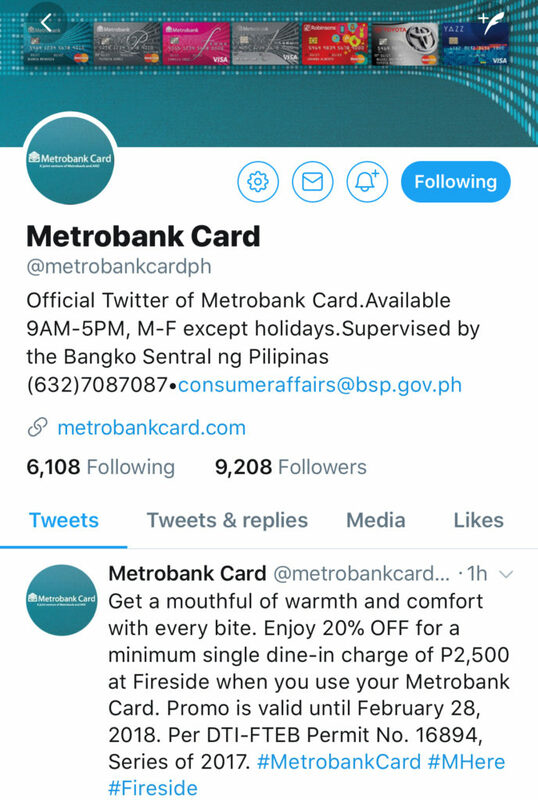 Because if you’re in good standing, the secured card will be converted to a regular credit card even if the holdout amount is released. Overall, it’s been great having a credit card again after seven years. I’ve matured financially through those years, so I am now a responsible and wise credit card holder. 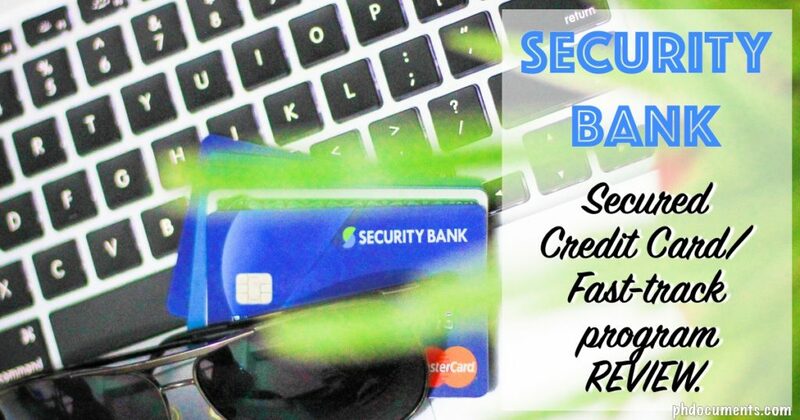 Having a secured credit card is a perfect way for people to gauge if they could own a regular credit card without falling into debt. This is the safest way to “try” owning a credit card for at least a year. 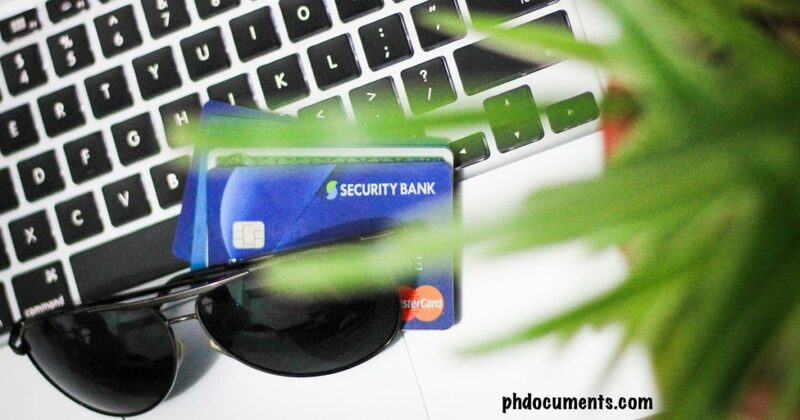 So, if you are unsure if you could still manage your spending if you have a credit card, try getting a secured credit card first. Around 18 months after getting a secured credit card from Security Bank, I went to my branch and made a request to release my money on hold. They called SB cards and they let me spoke with the representative; the call lasted for about 15 minutes. I learned that the processing will go through SB cards first. They will assess whether or not your card can be retained (unless you request to cut it already). I received an email three days later asking me to submit a proof of income for my credit card to be converted into a regular one. I sent them a copy of my ITR (they also accept payslips and CoE). The branch told me that the entire process will take a month. However, when I checked my account via their app two weeks later, the hold out amount has already been released! And my card is still active, which means, it is now a regular credit card. Awesome! I came across an article from Security Bank which upon reading, has inspired me to respond. The title is “5 Wrong Notions About Credit Cards You Shouldn’t Believe” and you can read it in full here. I can’t help but comment on almost everything that was said, and I decided to post my thoughts here. I call it the “5 Realities About Owning a Credit Card”. 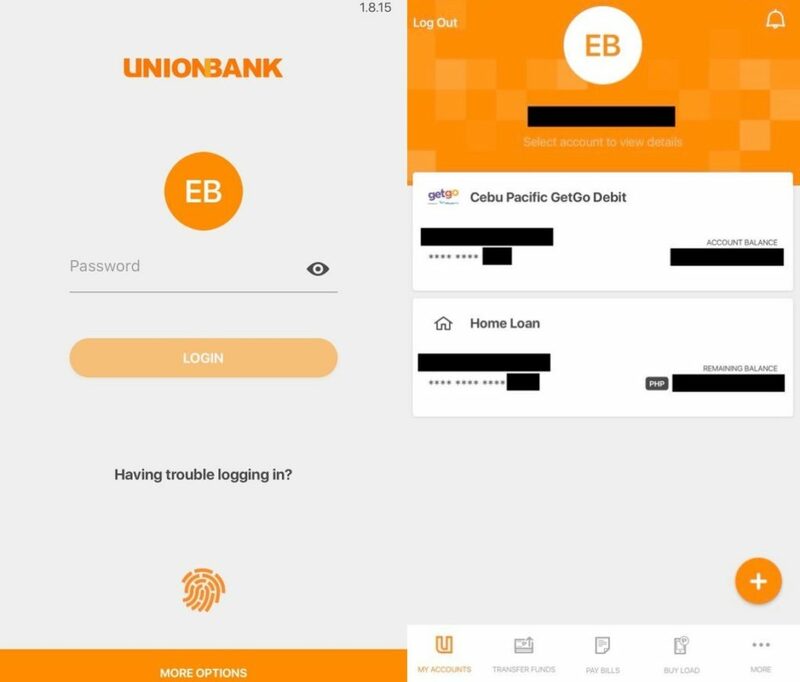 All screenshots from Security Bank. 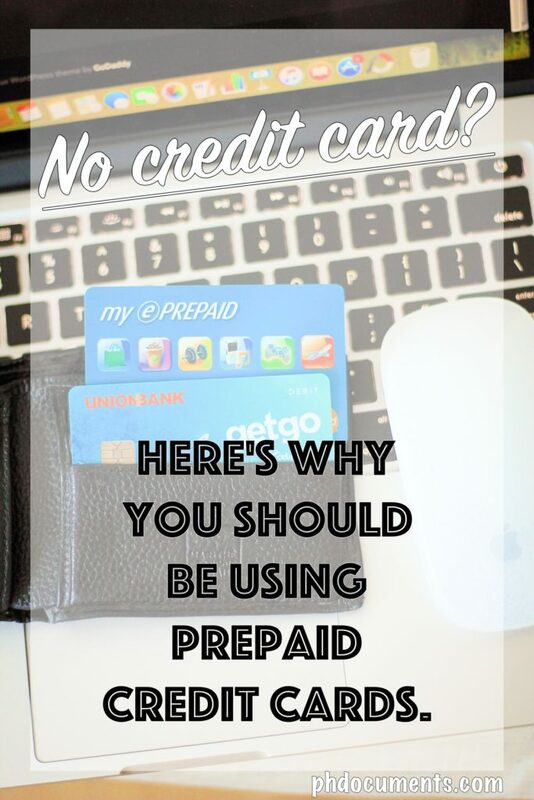 The truth is, it is very difficult to not overspend when you have a credit card. I should know based on experience. Not only that you should be very good at budgeting and sticking to your budget, but you should be very cautious to never use the card “in case of emergency”. I would say, you must have enough money in your savings account before applying for a credit card. 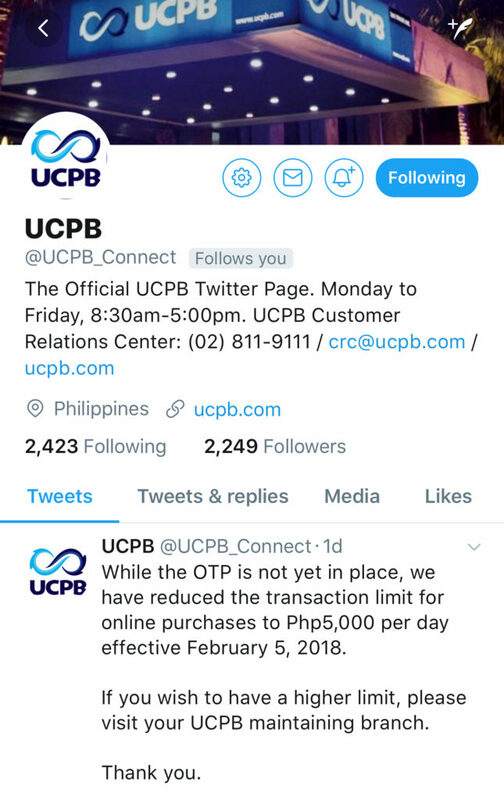 If your credit limit is Php100K, you should have Php100K in the bank, and not because you have a high paying job. This is a tough one, and is synonymous to overspending. Spending wisely is often not in the vocabulary of a credit card holder. How could one spend wisely anyway when you get offers and discounts from different establishments almost every week? I will stick to my advise of saving money first. 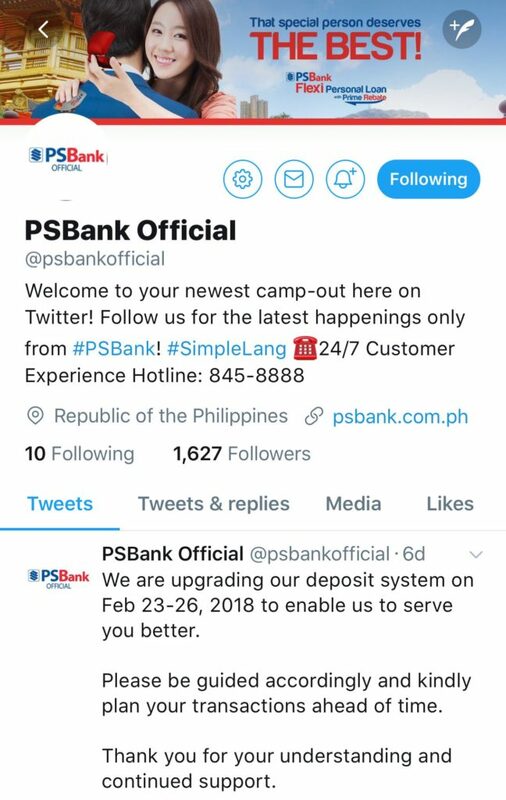 Don’t get a credit card if you don’t have at least Php50K in your bank account. I am “quoting” both paragraphs under this item because they talked about those perks and promos. These are evils that will tempt you to use your credit card and accumulate debt. 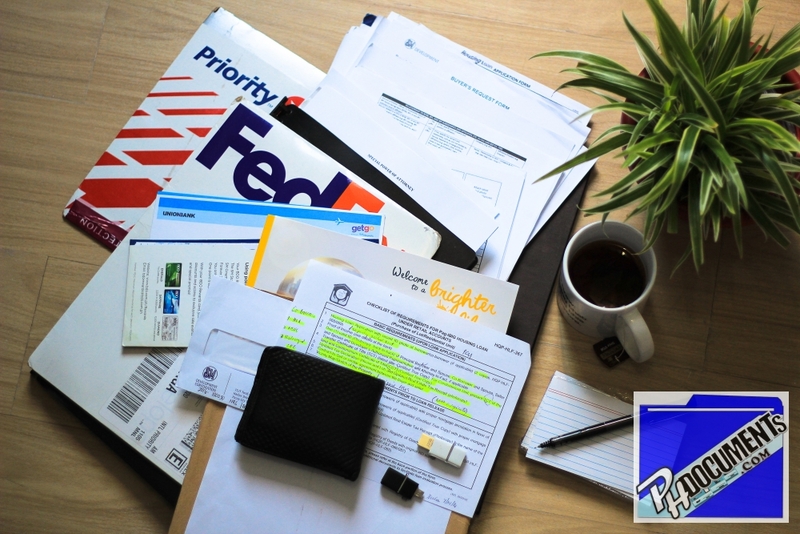 Budgeting is once again mentioned, and I’d say having an enormous self-discipline should always come around the topic of budgeting. 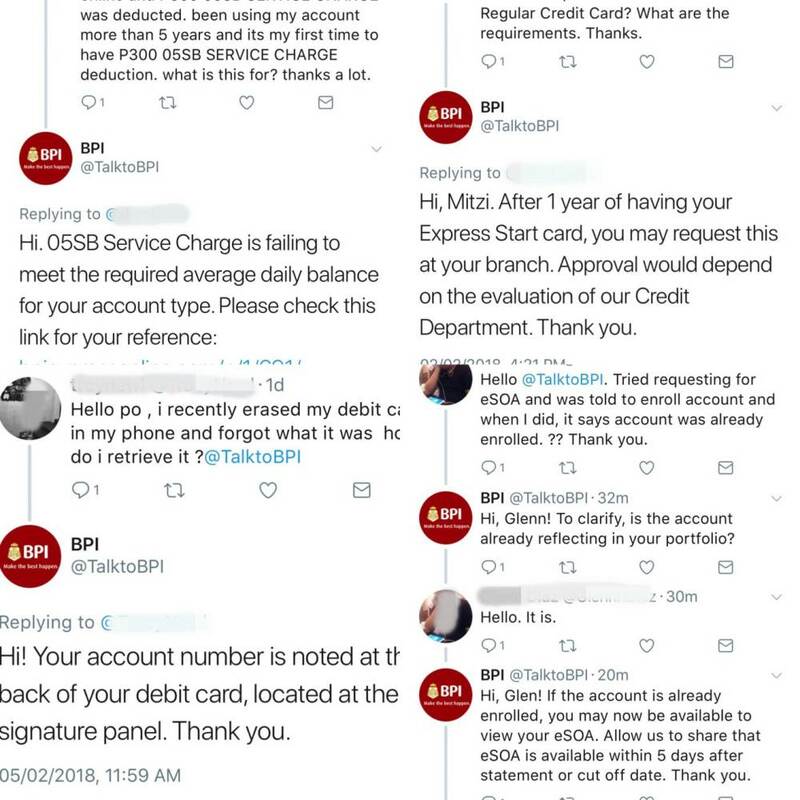 My credit score has been damaged big time (although, we do not really have have credit scores in actual numbers here in the Philippines). This was confirmed when my home loan was rejected by all banks that I applied to. Thankfully, I was able to fix this through a bank clearance for my credit card. In relation to number three above, I know that I have already been blacklisted by credit bureaus. I am working at rebuilding my credit score by promptly paying my monthly amortization for my bank loan, and got a second chance at owning a credit card with Security Bank’s secured credit card. Yes, you will get reported to credit bureaus when you fail to settle your credit card debt. And what are the consequences? Apart from being harassed by debt collectors, you will never be approved of any form of bank loans anymore. On the other hand, I agree that this should not scare you from getting a credit card, but rather push you to use your card correctly. I don’t know what this means, honestly. What I’m sure of is you can use your card up to the maximum limit. In general, owning a credit card is nightmare to those who are not good at managing their finances, and a joy to those who are using it right. 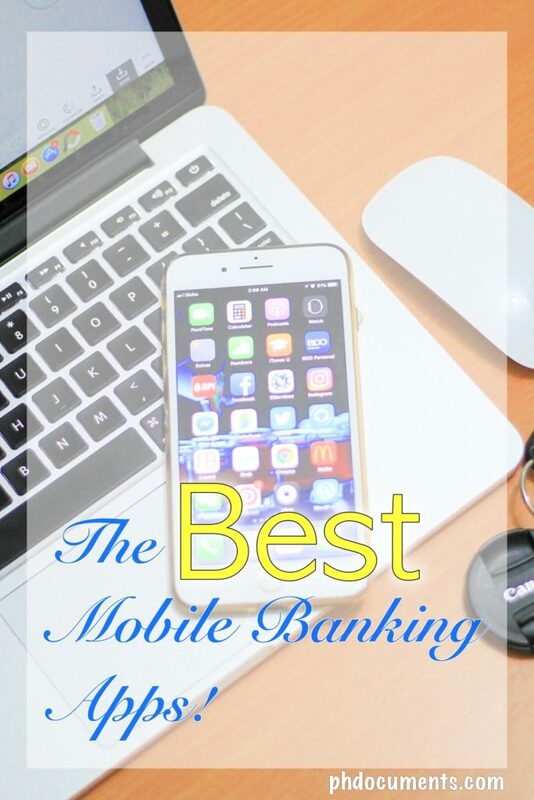 While there are lots of credit card holders who are buried in debt, there are also many who are enjoying its benefits and that is because they have the discipline to spend within their means. I definitely do not encourage you to get a credit card if you could barely save money every payday. Save first, and before you know it, some banks will be offering you credit cards without you needing to apply. 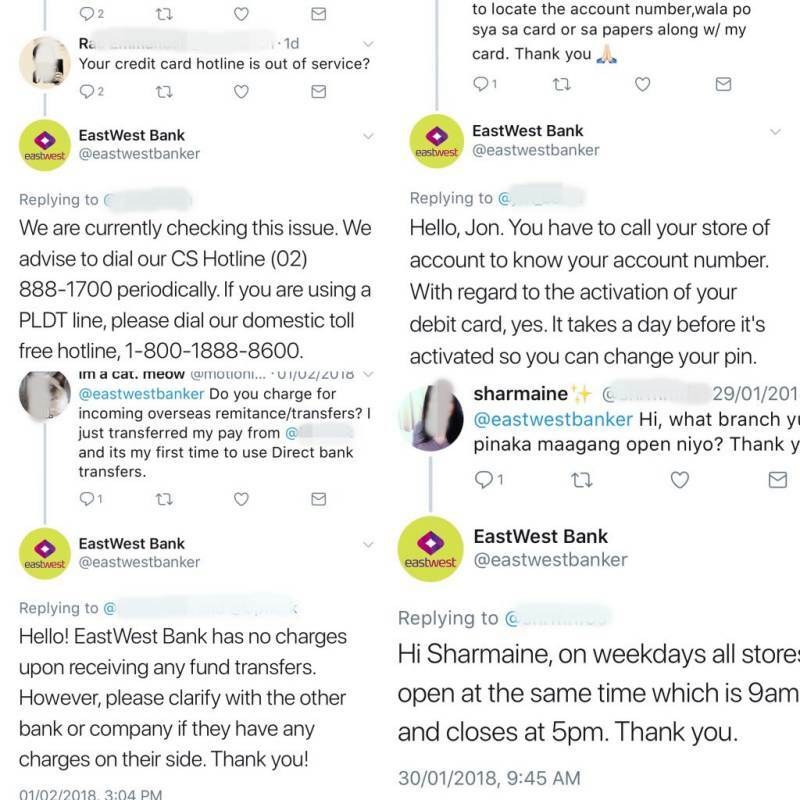 My friend whose initial credit limit is Php200K that I mentioned above is a perfect example. Because she’s been actively saving money after landing her first job, a certain bank contacted her and sent her the card. So if you are thinking about applying for a credit card, my advice is – save now and get a credit card later. 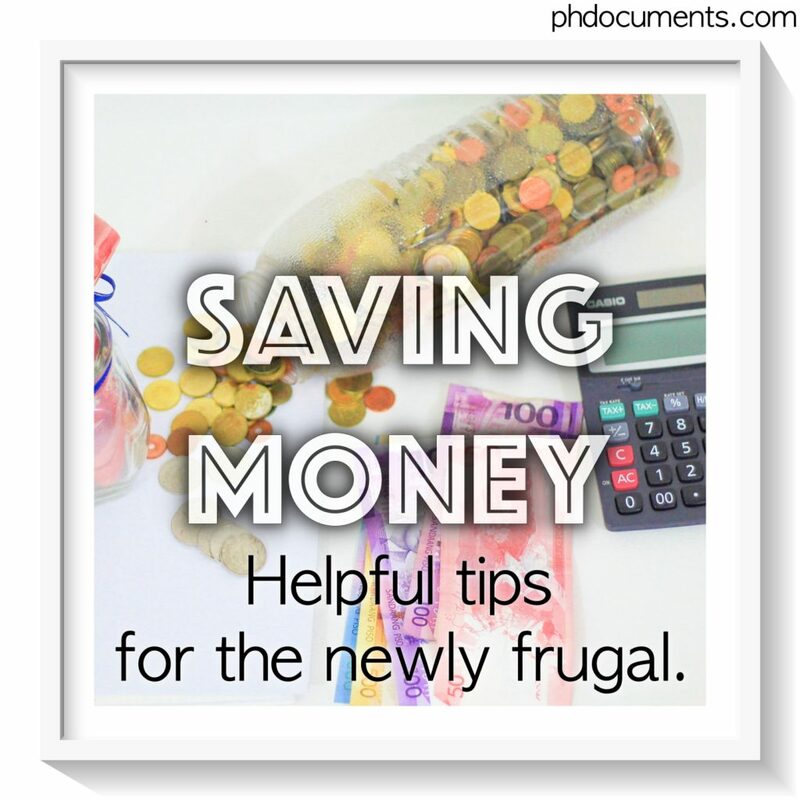 Aim to save at least Php50K to Php100K. 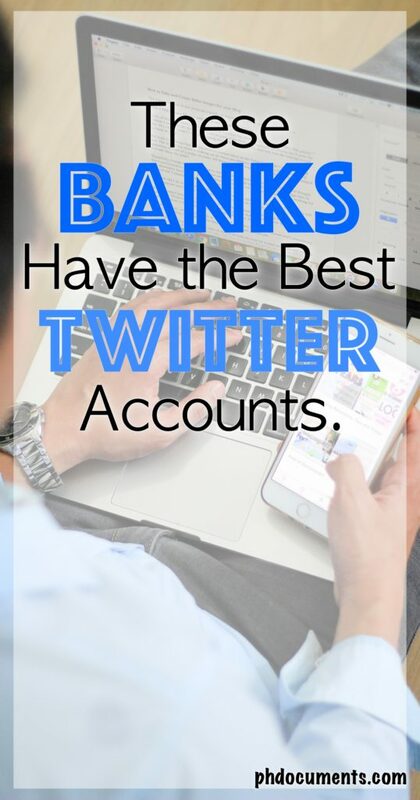 Do you need more than one bank account? I started with a savings account when I was in college. It was easier to get one back then because all you need to present is your school ID card. 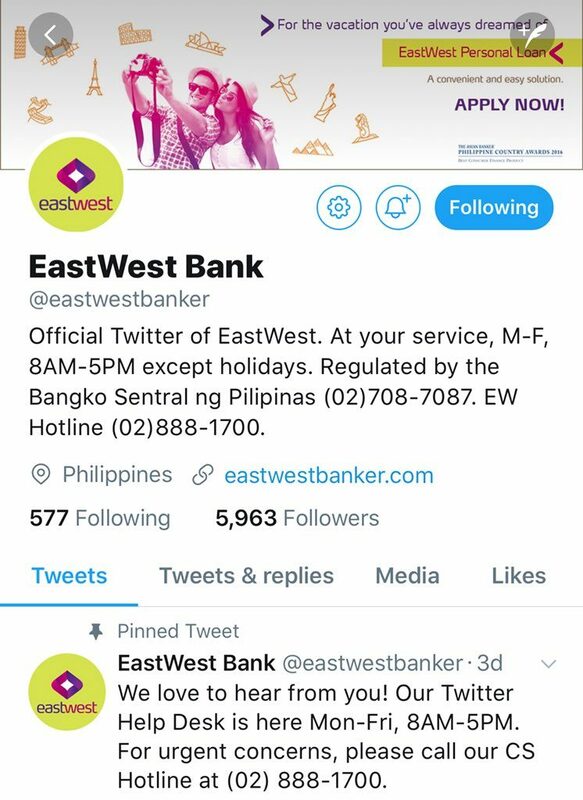 Unfortunately, I didn’t know how to do banking at that time and had my account closed after less than a year. Emergency fund. Ditto, but only tap this in a true do-or-die crisis. When they say, “Save three to six months’ worth of living expenses,” this is where it goes. How about you, how many savings account do you have? I didn’t start needing all these accounts. Two of them I had to open when I purchased a condominium, and one for my secured credit card. 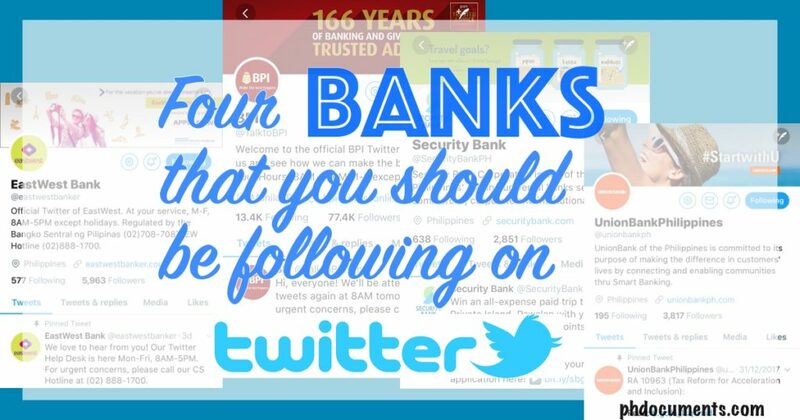 Some of you could probably relate if I say that 5 of these 6 bank accounts only have maintaining balances! My goal now is to turn the remaining one into an Emergency Fund. And I will have to assign a Curveball Fund and a YouNameItFund to 2 of those 5 barely surviving accounts. 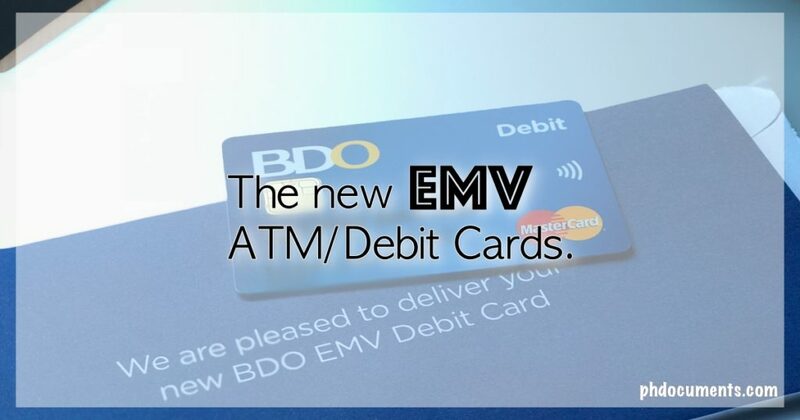 Are you one of those who are annoyed by BDO’s one time password or OTP? I am too, but it makes me feel better knowing that it is an added security feature. 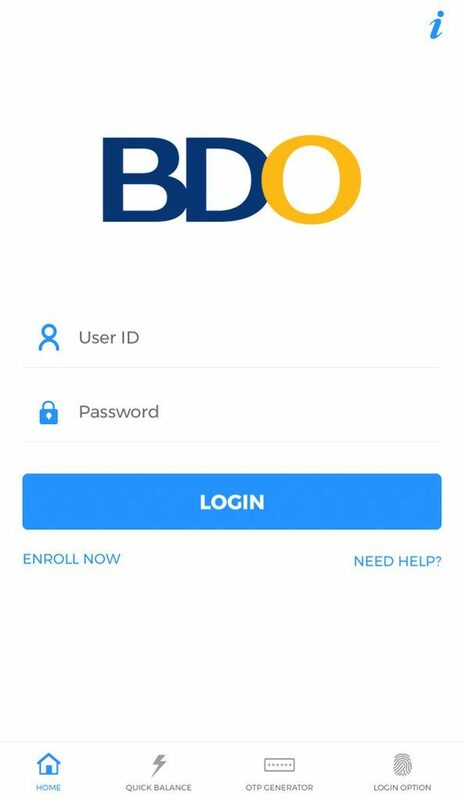 Well, the BDO mobile banking app eliminates the need for an OTP so you can go to your transactions directly upon logging in. – difficulty logging in sometimes, and it doesn’t say if app is under maintenance or the internet connection is just too slow. – mobile phone reloading feature doesn’t recognize some Touch Mobile (TM) numbers. 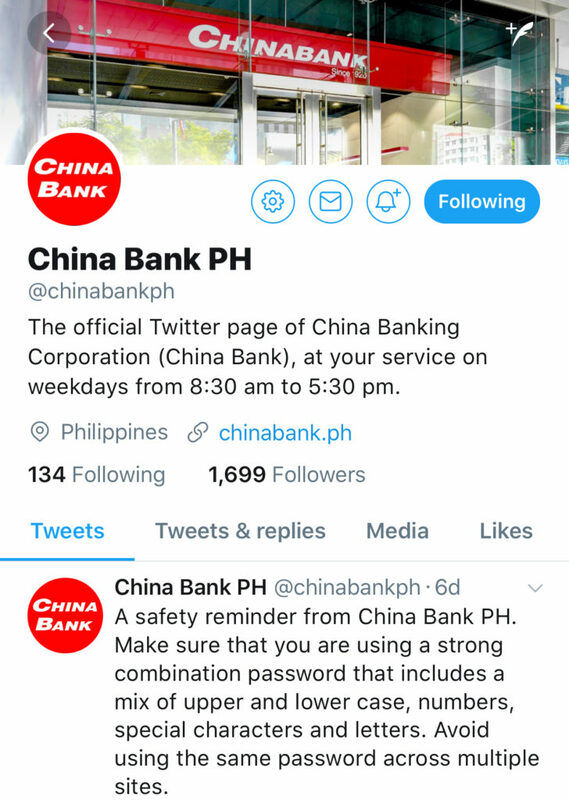 – doesn’t show your full account number. 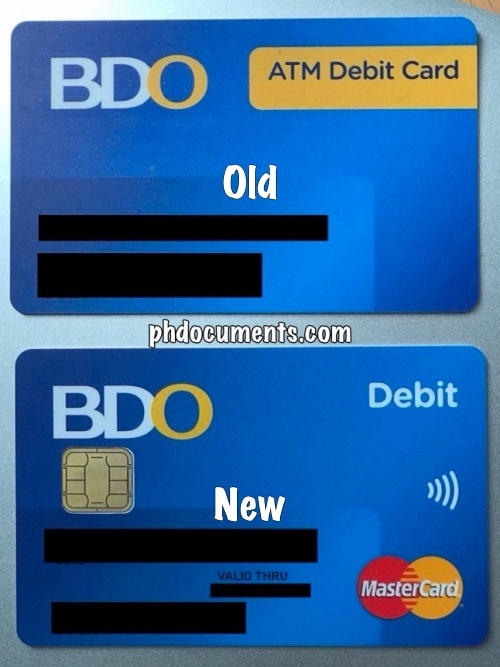 This is a big issue for me because BDO doesn’t print account numbers on their ATM cards. I don’t memorize account numbers so I would need to find a computer to login to just so I could see my account number when I need it. *2018 Update: BDO just incorporated Touch ID as a login option, and the app now shows your account number! 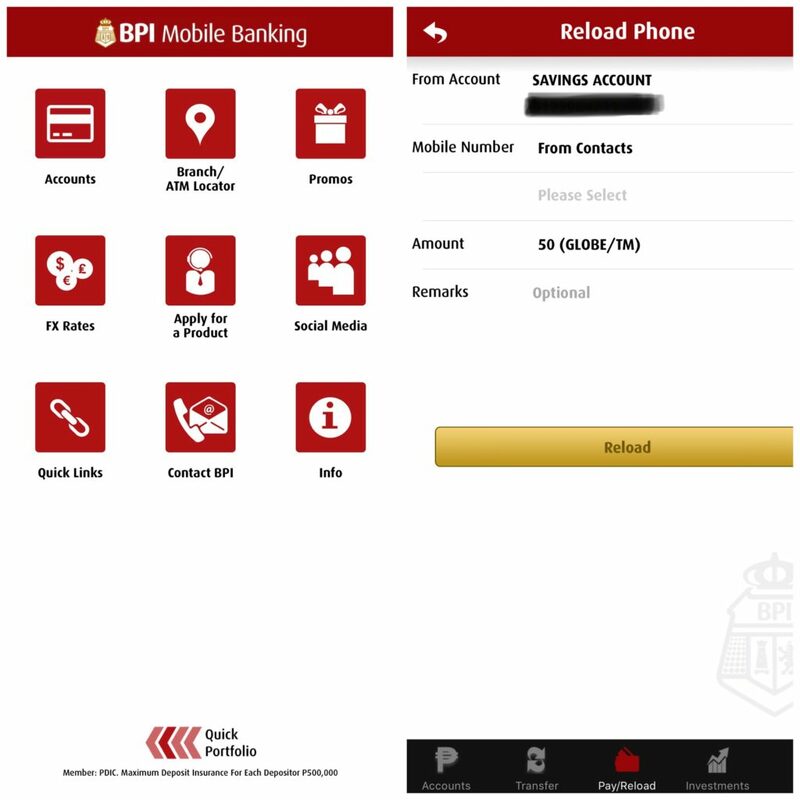 Along with BDO, BPI app is the first mobile banking app that I used. And just like BDO, it is very straightforward. – you don’t need to enroll a mobile number in order to reload them, the app will allow you to directly access your phone contacts! 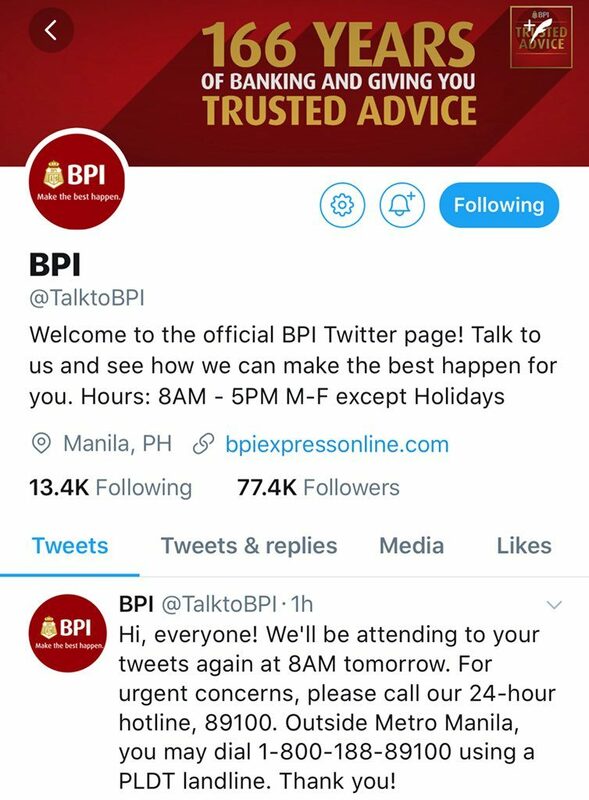 This is a very surprising feature because BPI often requires paperworks and a trip to their branch for enrollments. I just installed this app early this year when I got my secured credit card from them. The app is easily the most visually pleasing for me. – can login via Touch ID! 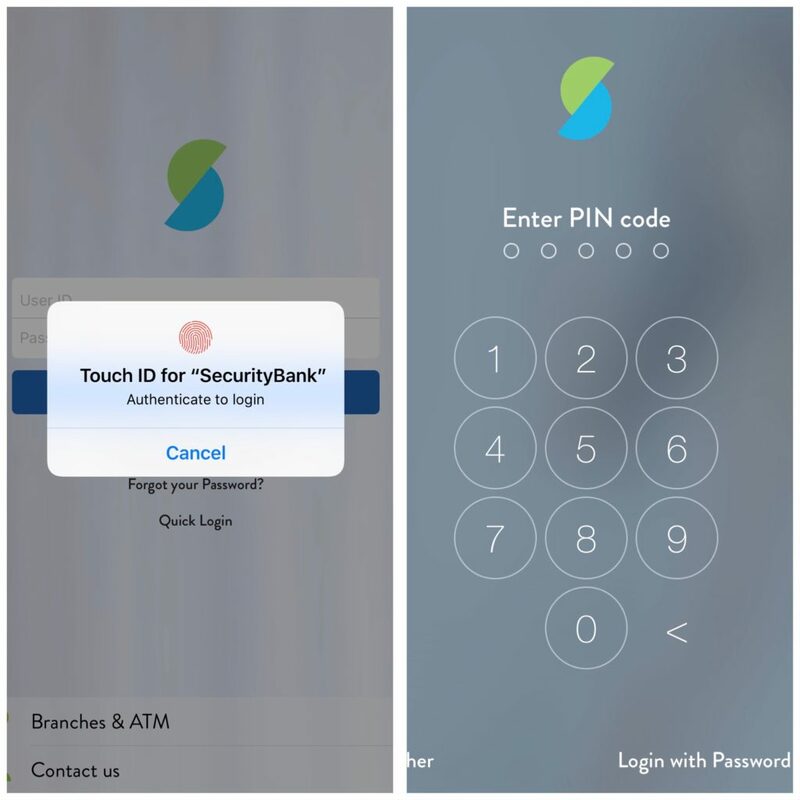 – pin code and password are alternatives to Touch ID. – layout and color are easy on the eyes, perhaps because blue is my favorite color. – None so far. 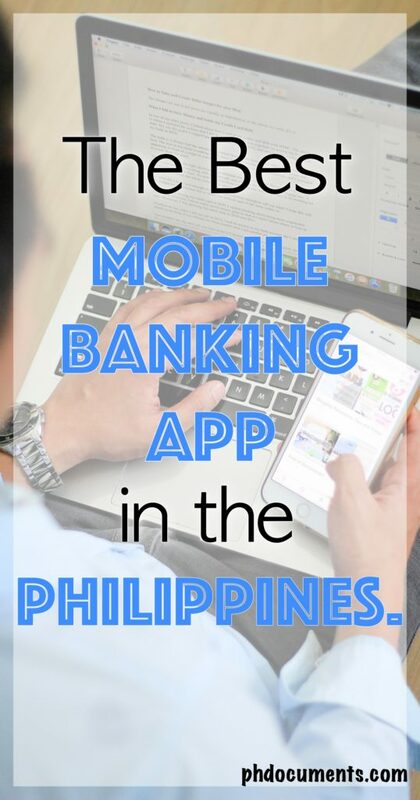 I only use the app to check my balance, so I haven’t tested its features yet. 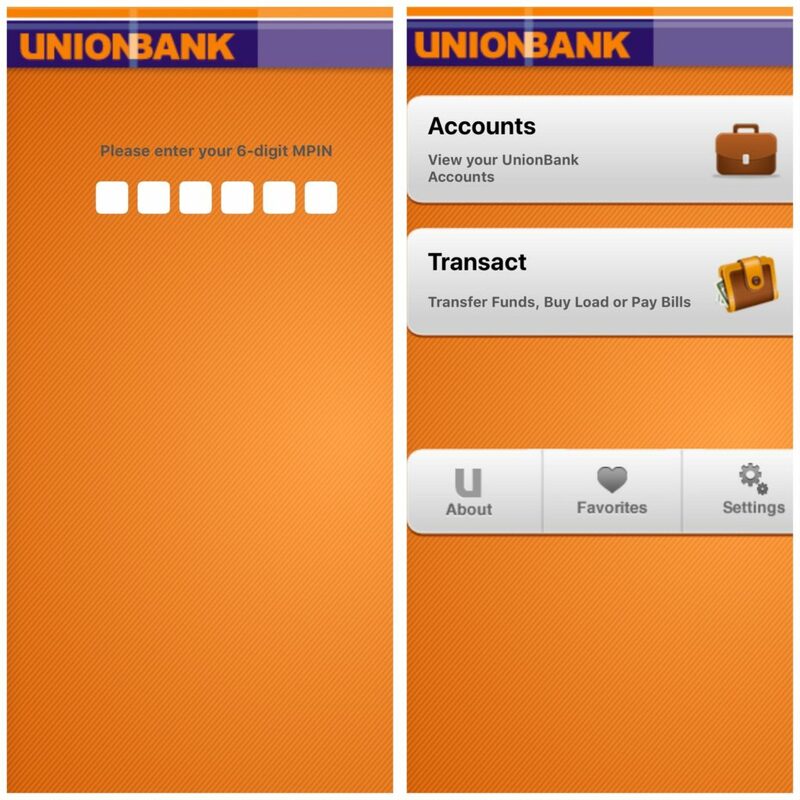 Both my web and mobile banking experiences with UnionBank haven’t been very easy. 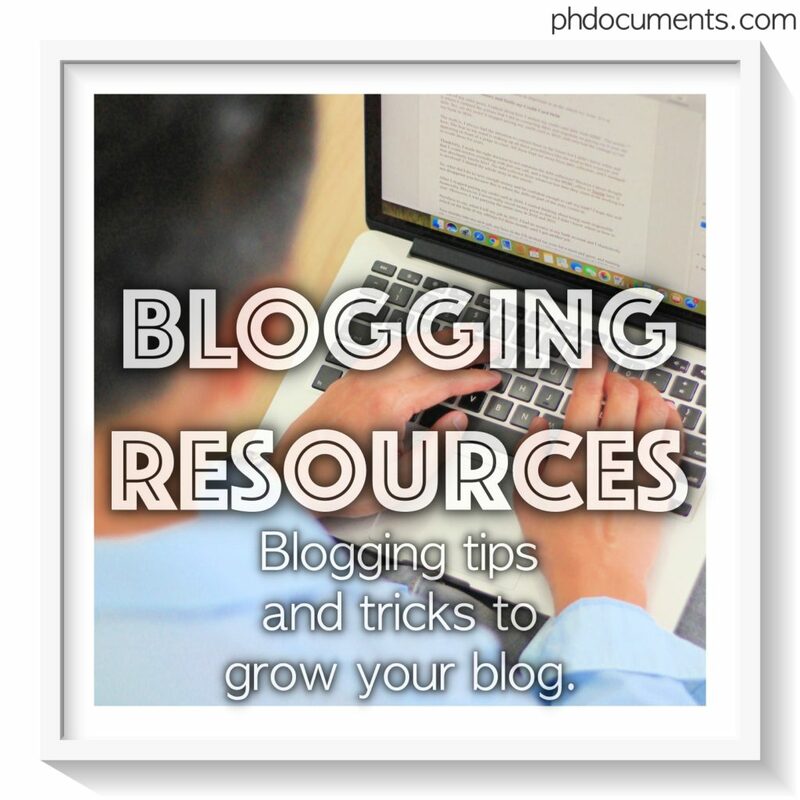 You actually need to call them to complete setting up your online/web account. A few months later, I lost my access for reasons I don’t know. I did not call them again, and I settled to using their app. – the phone reloading feature actually works! 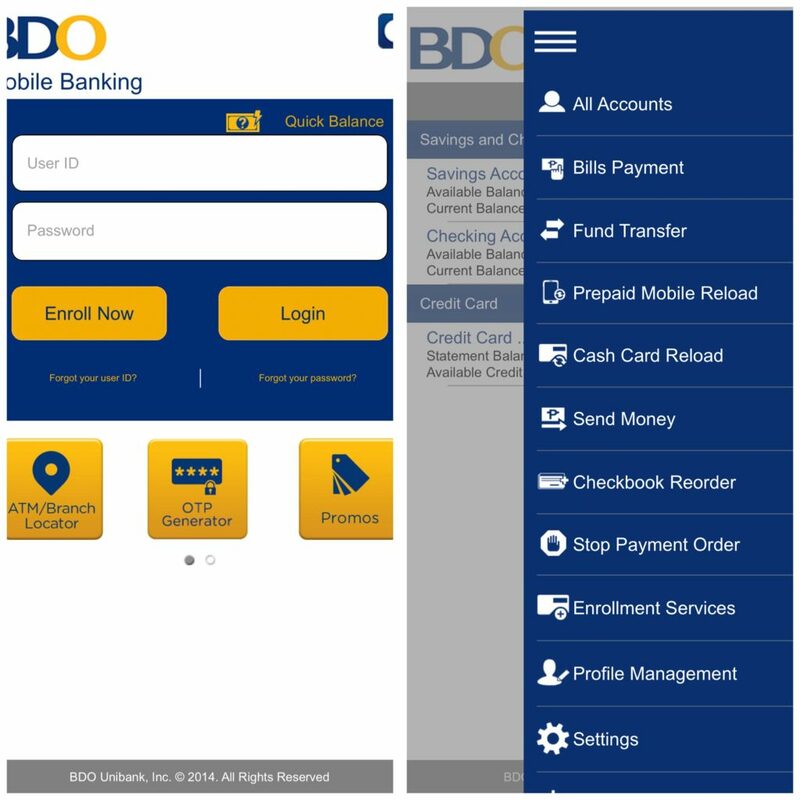 Overall, I’d say BPI has the best app so far with BDO and Security Bank coming close. 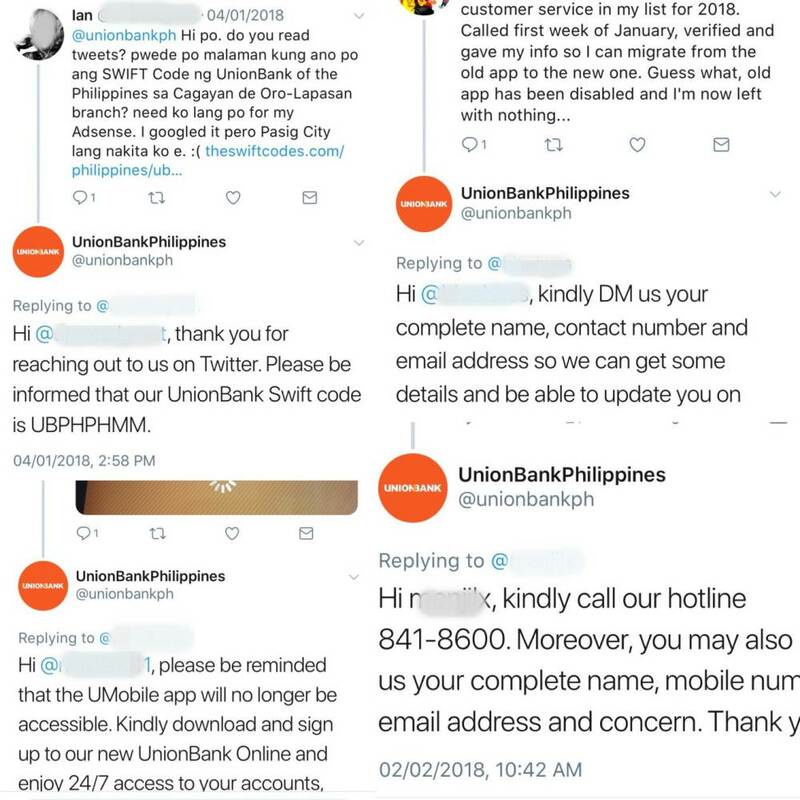 UnionBank still has a lot of improving to do. 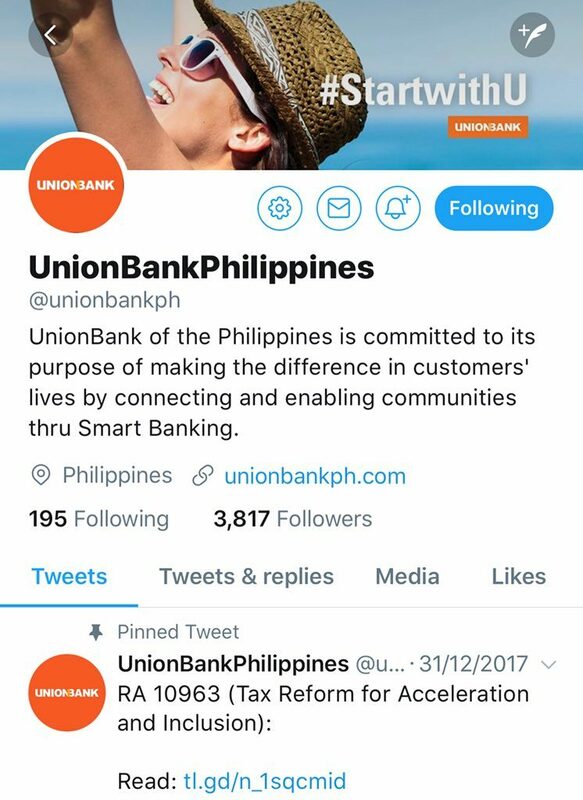 I feel that UnionBank doesn’t really cater to young customers which is why enhancing their online and mobile banking is the least of their concerns. And I understand why. 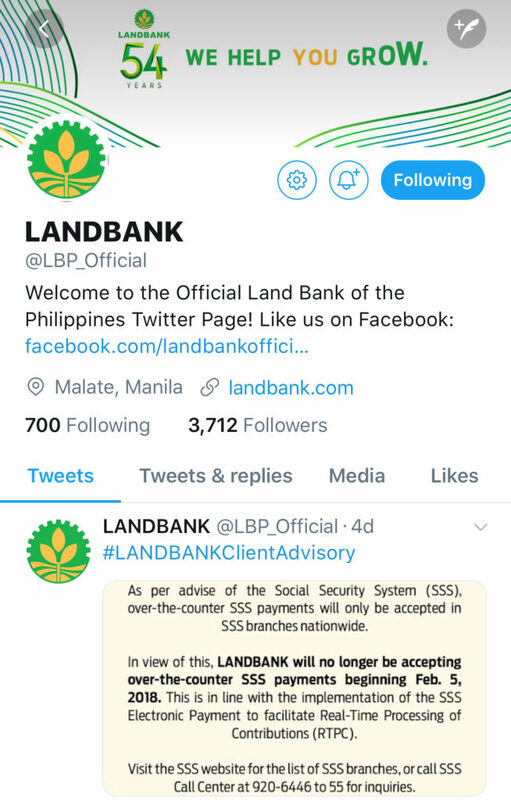 With an initial deposit and maintaining balance of Php100,000, that is not very attractive to millennials (or most Pinoys for that matter). 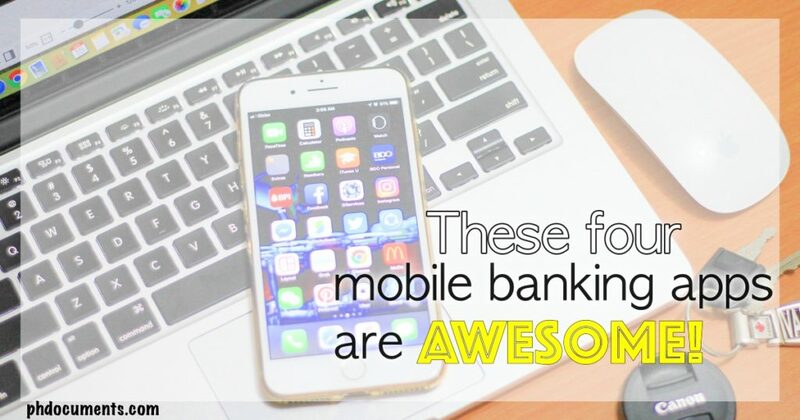 Which mobile banking app are you using, and how is it?